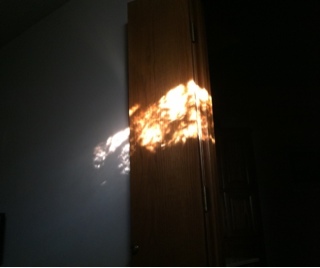 this is always happening to me, when the curtains are cracked or open and it's not so hot, light shining or reflected through my window onto the wall. I have many, many photos of this type. Thais, Thanks for visting and your kind response! Thanks for sharing on gplus too!